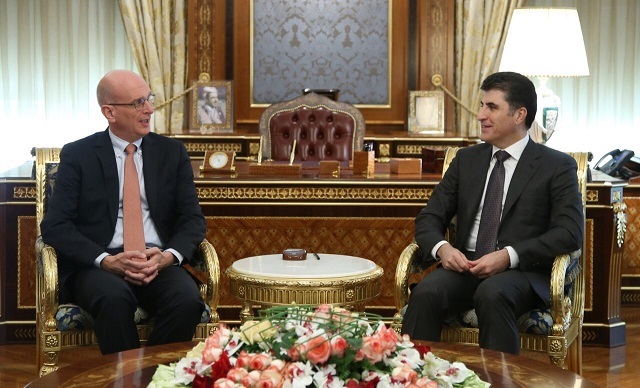 Erbil, Kurdistan Region, Iraq (cabinet.gov.krd) – Prime Minister Nechirvan Barzani received Mr. Kurt Georg Stockl-Stillfried, the new Consul General of Germany in Erbil. 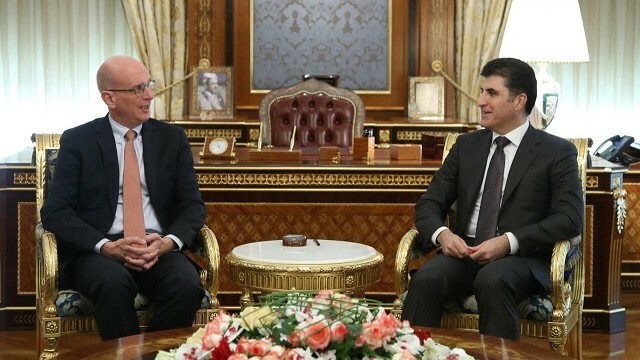 The General Consul stressed that the German Government places great importance to its relations with the Kurdistan Region and voiced the need to further strengthen bilateral relations. Prime Minister Barzani wished the new Consul General success in his new position, and he expressed his appreciation for Germany’smilitary and humanitarian support to the Kurdistan Region, especially in the field of military training. He also expressed his desire to strengthen bilateral ties between Erbil and Berlin. Prime Minister Barzani discussed the tragedies that the people of Iraqi Kurdistan went through in the past decades. He stressed the referendum that the Kurdistan Region will hold later this month is a mean to define the relations between Baghdad and the Kurdistan Region in a way to prevet the recurrence of past tragedies and atrocities committed against the people of Kurdistan. He stressed the need to resolve the outstanding issues between Erbil and Baghdad through serious dialogue and mutual understanding, in which, he said, the International Community can play an important role.